Plucked straight from the treasure chest, these glittering gems are the show stopping light your Christmas display has been missing! If you can't commit to one color why not have them all? C7 Color Change LED bulbs disperse morphing light in every direction so no matter how you look at them they are always different. Delight guests with a mesmerizing indoor tree and keep them guessing with an ever changing outdoor Christmas light show. Multicolor C7 color change LED bulbs, E12 base. Just love these lights. Always been looking for something like these, but did not think I would find them. Excellent! These lights slowly change just like I had hoped. I also bought a set of twinkle lights, making everything complete. These bulbs are fantastic! I have them up already. The color change is very subtle; you have to stare at one to really notice it changing, but all the bulbs do at different times - a really nice effect. I love this store. These bulbs surpassed all of my expectations. I am very pleased with them and will most likely order again. 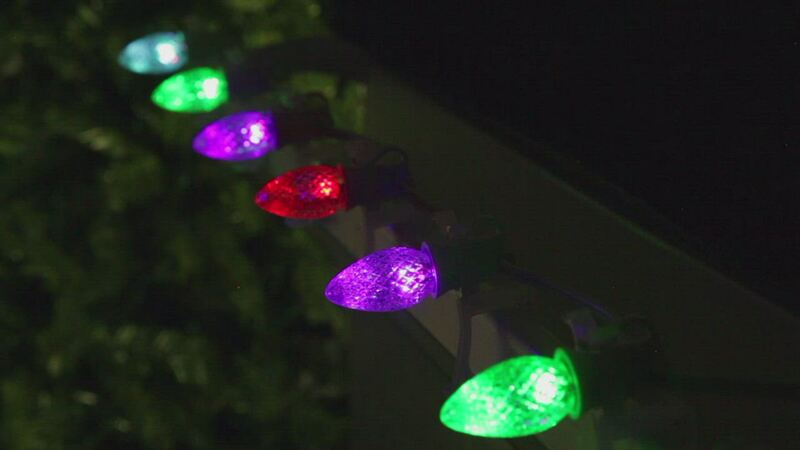 The bulbs do change color, but it happens too quickly for my taste. The light bulbs do not reset when power is shut off. Not great if you like uniformity. I used these bulbs to turn an old crystal chandelier into a neat color changing light. There were 18 bulbs to change in the chandelier. It is surrounded with crystal cut into prism type shapes. As the color changes in the bulbs, different refraction occurs through the crystal parts to illuminate the entry into my house. At night, it makes me really happy to come home and see the entry way to my house in vivid color. I wish the lights were a little brighter but for the price, you can't beat this. Excellent quality bulbs. Nice slow changing lights with good color dispersion. They are a little pricey but these lights are just what I was looking for. They are on my small tree in my front window. If they should happen to go on sale I would love to get a long strand to put on my big tree next year. Bulb Dimensions: 7/8" bulb diameter, E12 - Candelabra base size Lights: C7 LED Color Change: Red, Blue, Purple, Green, Gold, Faceted Acrylic, Non-Dimmable, Color Change, Nickel base.